Baywood is an established management company providing innovative solutions for commercial and residential properties throughout Northern California. With over 40 years of experience Baywood has delivered solid profits, skillful management and a history of deep integrity that has created long-term relationships with owners. ​Baywood represents buyer and seller clients with personal, skilled and detail oriented transactions from start to finish. Michael Woods over the past thirty five years has developed and sold over forty properties by structuring unique partnerships to fund their acquisition. Mr Woods has acquired and developed commercial residential and hospitality properties primarily in Northern California. Josh Turow joined Baywood in 2001 effectively managing this portfolio of properties. As the portfolio of properties changed, Mr. Turow decided to offer Baywood's management experience and capabilities to outside owners. Navigating the market's upturns and downturns has become a strength of Mr. Woods and Mr. Turow. The steadfast attention, guardianship, and on-going creative management style evidenced by Baywood over the years had developed the most precious resource of all - solid committed business relationships. Baywood's character and success has drawn the attention and collaboration of other experienced and responsible partners and professionals. Today, Baywood continues to lead in the areas of commercial and residential real estate management. Baywood owns and manages many successful commercial and residential properties throughout Northern California. Baywood’s expert management team has maintained an occupancy rate greater than 94% for more than a decade. This success has been accomplished by creating a concierge style communication approach with their tenants. 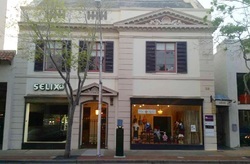 To see more of Baywood's commercial properties... click here. 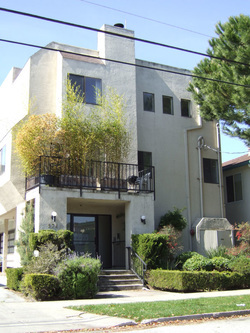 In 1980 Baywood Management was created as a full property management division to support the expanding portfolio of properties being acquired by Mr. Woods and his investors. Properties include office buildings, retail buildings, apartments, townhomes, resort hotels and spas. 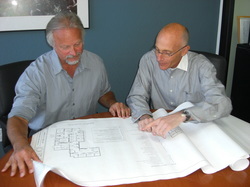 Baywood’s management staff has the commitment and experience it takes to manage these properties profitability. To see more of Baywood's management services... click here..